Well this week, I was literally banned from the kitchen. Arthur’s stomach bug continued through Wednesday. And yesterday he was in a bad mood. Seriously bad. I thought that I was not going to be able to cook for the co-op this week due to Arthur feeling like crap, so I let the ladies know. They still brought us some awesome food anyway. We have a “I’ve got your back” policy. Meaning if there are uncontrolled circumstances like a sick kiddo, we will still help out and bring food. I love my dinner co-op. Arthur is now on the mend and I was able to bring some food yesterday. Now I just need to catch up from being MIA all week. I have food to cook, packages to mail, etc. 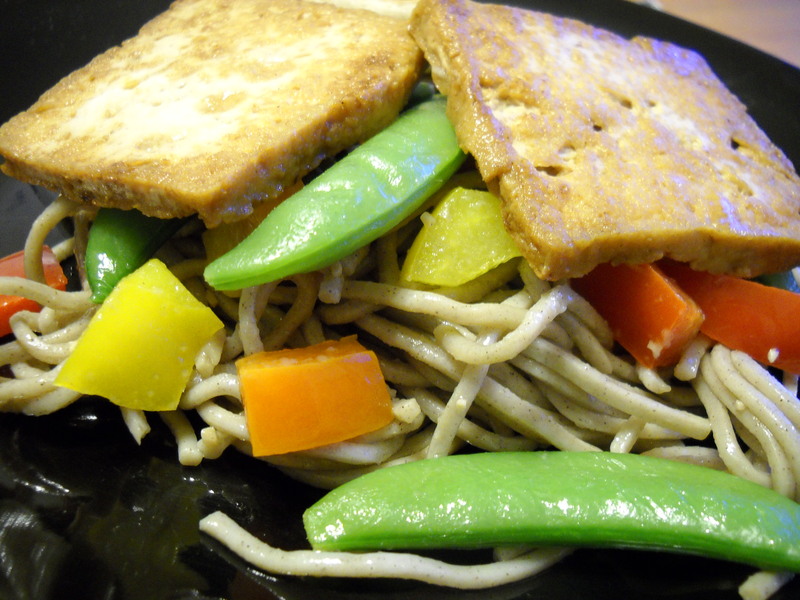 Our Monday co-op meal was soba noodles with tofu. It was so good. I love soba noodles. Adam loved the tofu and noodles too. When Arthur did finally request food on Wednesday, luckily we had some left over and he ate the noodles. Tuesday we were delivered chickpea cutlets, mashed potatoes, gravy and a side of broccoli. Chickpea cutlets is a favorite for everyone. You can’t go wrong with this meal. Wednesday we were delivered a bulgar dish with a side salad. The bulgar was good, it was full of beans and eggplant. And the salad was a spinach salad with apples, raisins and pinenuts. Delicious. Thankfully I was able to cook for the co-op. When Josh got home Wednesday evening, I put him on kid duty and I went to work in the kitchen. 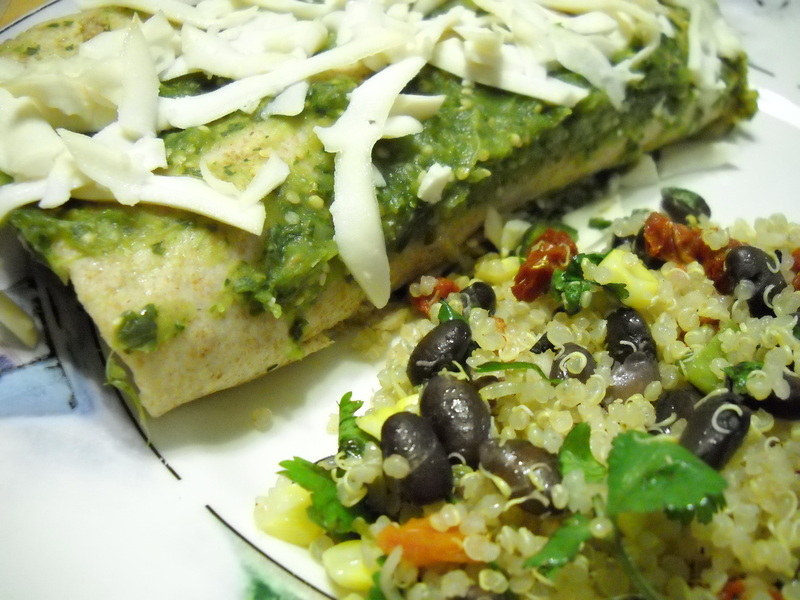 I made avocado cashew enchiladas and a Mexican quinoa. The enchiladas were stuffed with avocadoes, cashews, tofu, cilantro, spices and topped with a homemade tomatillo sauce and drizzled with a bit of FYH cheeze. 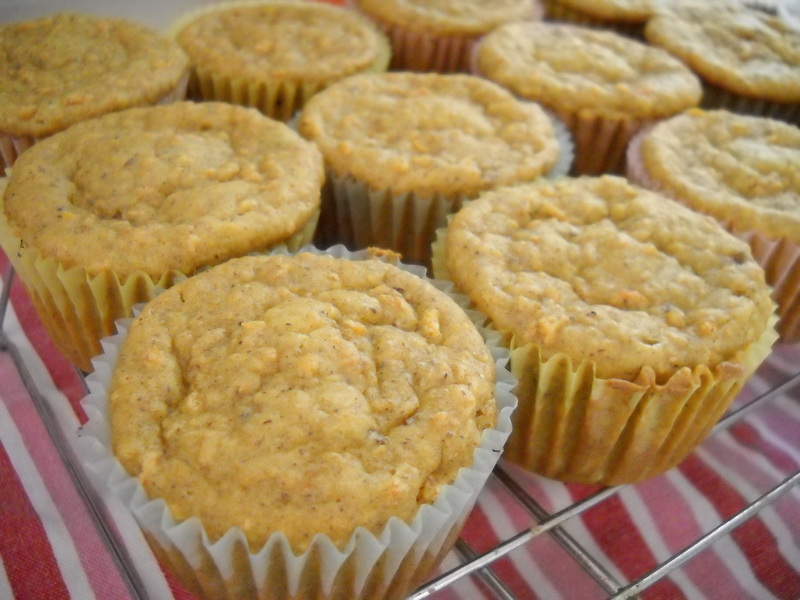 The Mexican quinoa is a new recipe I created. We loved it. I will be sending it to my testers to try it out and give a review. By the way, if you want to be a recipe tester, let me know. 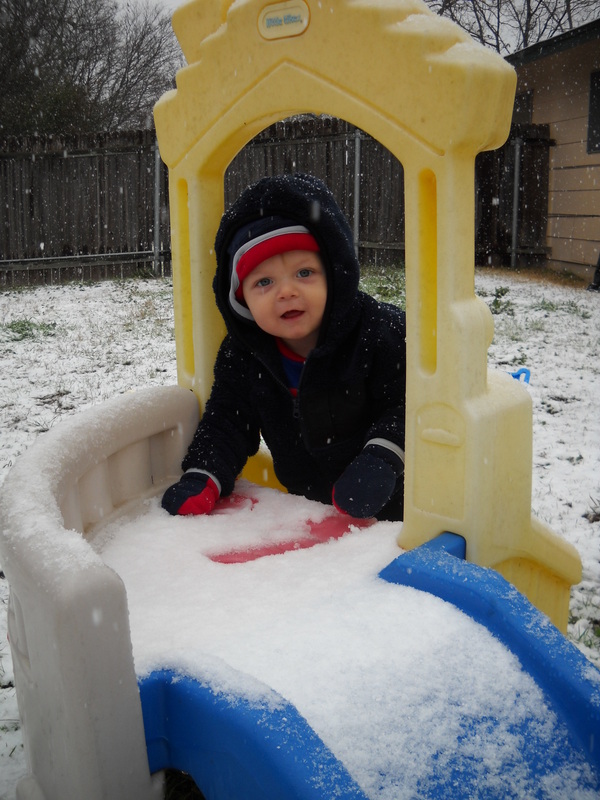 This is crazy, but we actually had snow here in the Southern part of the States. 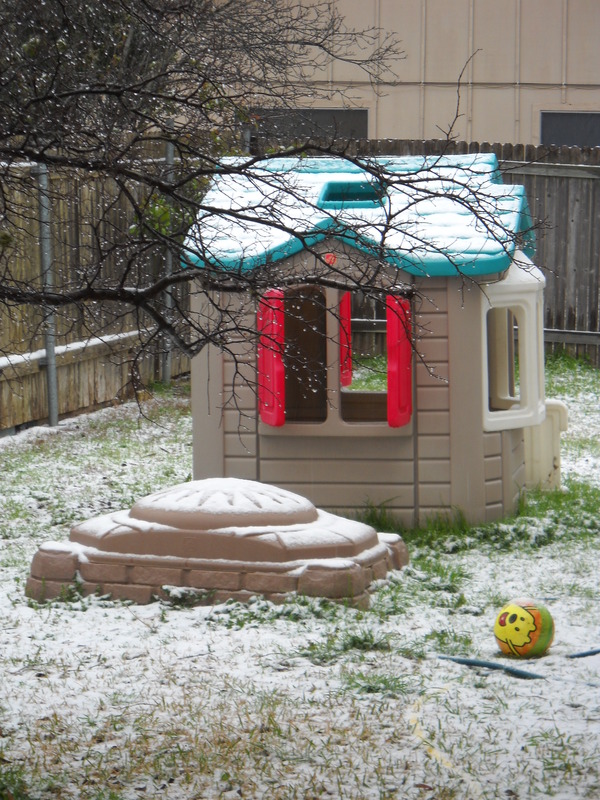 It was 80 degrees the day before and then snowed on Tuesday. I showed Arthur the snow. He was not impressed. I think being sick had something to do with that. Adam loved it. Zeke our dog went crazy running around in it. It lasted for the day, then melted. We actually had big snowflakes falling. It was pretty to see. Last week I created two new test recipes. 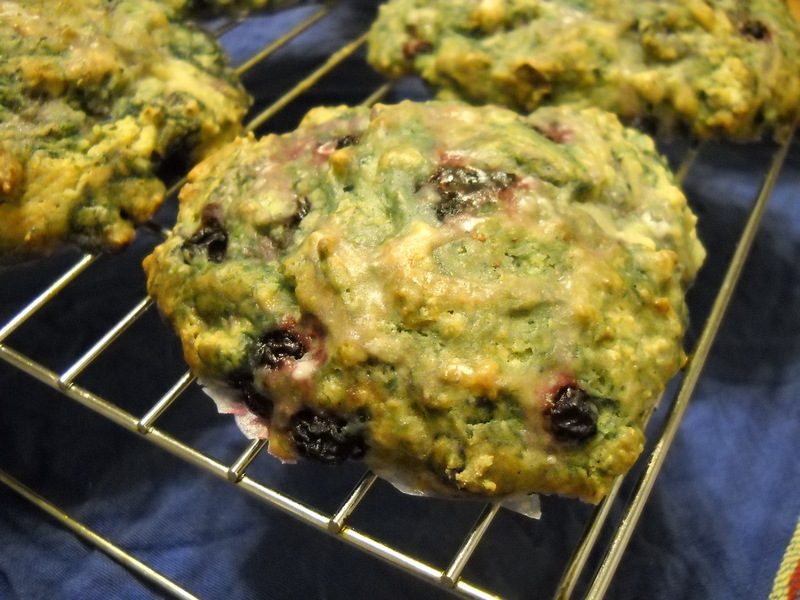 Carrot maple muffins and blueberry “sour cream” scones. We were pleased with the outcome. 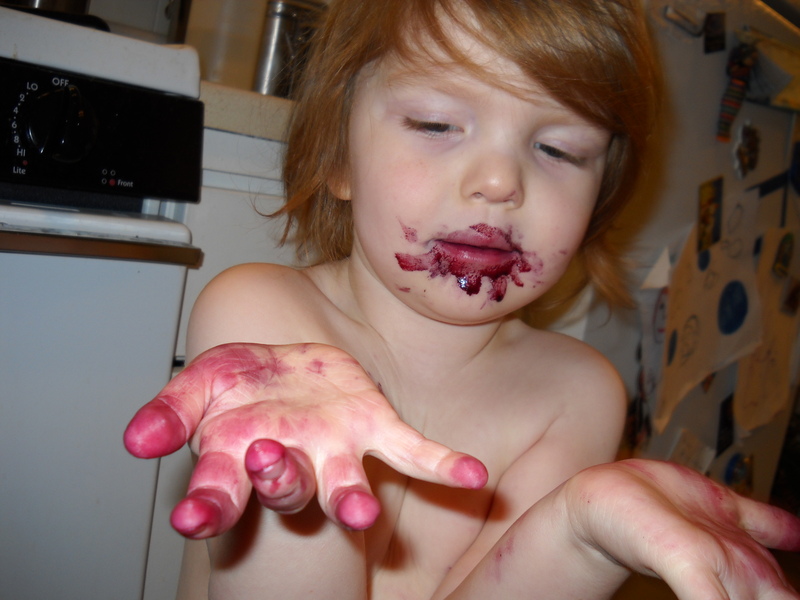 As you can see, Arthur really enjoyed some blueberries. Last night I went to the grocery store and when I got home, I found this little guy on our porch. I gently picked him up and showed him to Arthur. He asked about him/her. I told him that it was a little gecko that lived in the plants on our porch. He gently touched it on the head and asked where I was taking him. I told him he was going back outside where he lived. Arthur said, “Oh, he needs to go night night with his mommy and daddy.” So cute. It seemed to please my oh so grumpy guy. Tonite is pizza and movie night. I am making a cilantro pesto sundried tomato pizza for me and Josh and the usual cheeze pizza for the boys. And the movie? Something kid-friendly of course.